I recently started a Friday Flower Club with a few of my friends. We visit the San Francisco Flower Market early in the morning and then arrange the flowers together over breakfast. I’ve been trying to keep fresh flowers around every week and it’s been so nice to wake up to flowers everyday, they make me so happy. The dinner plate dahlias are so big and beautiful! I used to have a book club but I stopped going because I never read the book. But this is a club I can get behind. Have a good weekend everybody! the best idea! I might have to start my own! I was just talking with Liz about how we needed to go to the Flower Market! I love the idea, so fun! such a fun/unique idea! happy friday. This is such a sweet idea for a club – original, quirky and the perfect way to actually keep flowers in the house! It’s amazing how much they can brighten your day. How very lovely … TGIF! I adore this idea – I might have to steal it with my friends! 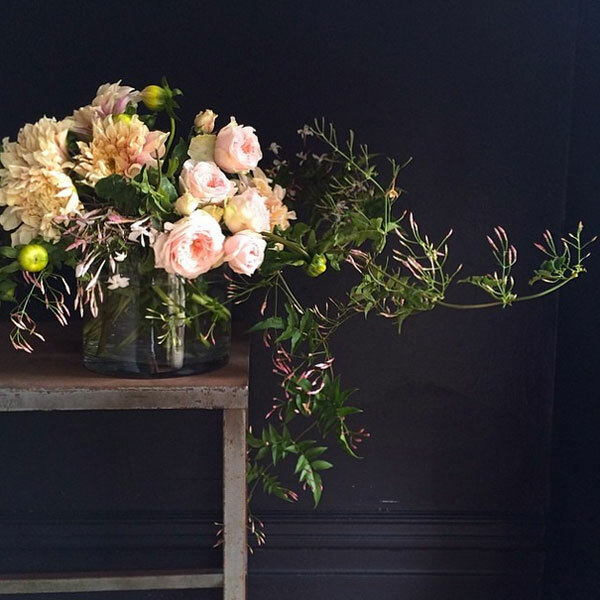 What an awesome idea – I want to form a flower club with friends! What a wonderful way to spend a day with friends. Can anyone go to the flower mart or do you need a resale license? Oh my goodness! I wish I had more friends that stayed home! Oh I love this idea, what a great way to start the day! Can I steal this idea and make a flower club in oz with my friends? I need something to do with my girls. Love it! These are beautiful! Grand idea!